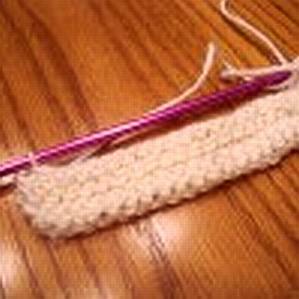 Knitting Galore: Beginers Knitting part 3: Cast Off and First Project. Beginers Knitting part 3: Cast Off and First Project. 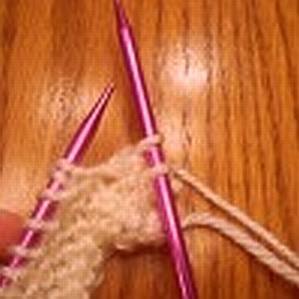 When you reach the end of your knitting project, you must get the stitches off the needle. 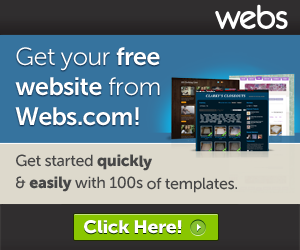 The method of doing this is known as casting off or binding off. 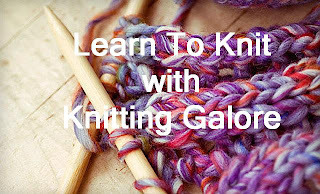 There is one main method for casting off, which involves knitting or purling as in the pattern and slipping the finished stitches over each other until you have only one stitch left, which is then closed with the tail end of the yarn. 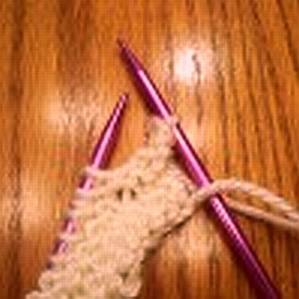 To start casting off, stitch two knit stitches (or you can also stitch two purl stitches if that works better for your pattern – either one). Now you should have two loops on the right needle. 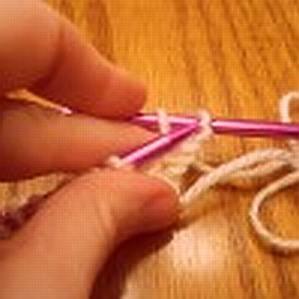 Take your left needle and push it through the second loop on your right needle (the first loop you made). 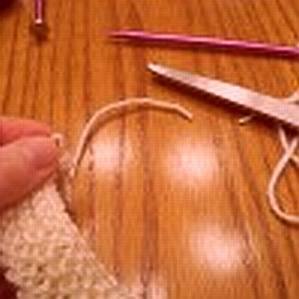 Pull the loop up and over the first loop and off of the right needle. 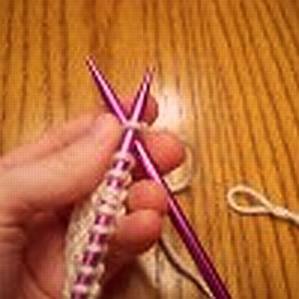 Now you will have One loop on the right needle and it will look something like this. 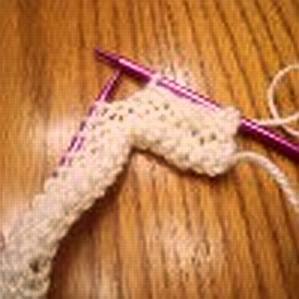 Knit another stitch so you have two on the right needle again. 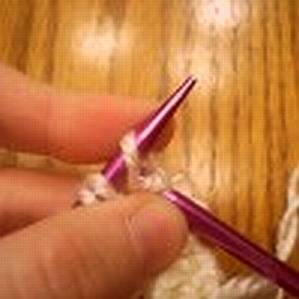 Pull the loop up and over the first loop and off of the right needle again. Continue repeating this down the row. 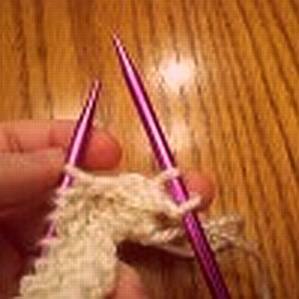 Now you should have all of the stitches off of both needles, except for one left on the right needle. 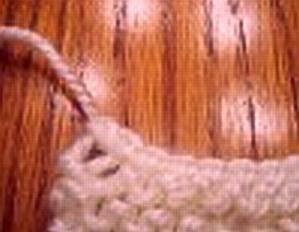 Pull the loop off the needle and cut the yarn, leaving several inches to work with. 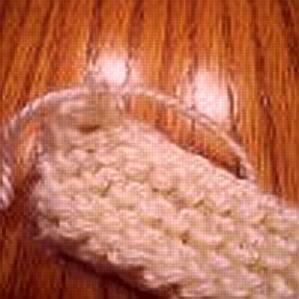 Push the excess yarn through the last loop.Pull it tight to tie off the end of the row. Now you should know how to do all the basics of knitting to get going on some fun projects! When you're a new knitter it can be difficult to decide what patterns to knit. How do you know which ones are easy enough for you to manage and which ones require skills you don't yet have? This Garter Stitch Scarf is the perfect first knitting pattern because all you have to know to complete it is how to cast on, knit and bind off. The bulky yarn makes it a really quick project, too, which is super-satisfying for a new knitter. More experienced knitters should take a look at this pattern, too. 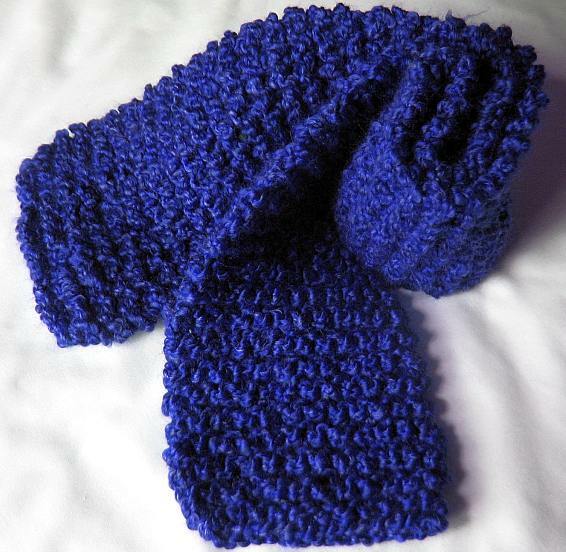 It makes a handsome scarf that you can complete in just a couple of hours--perfect for last-minute gift giving. This makes a scarf about five inches wide and 60 inches long, depending on the yardage of your chosen yarn. Knit every row until you have about a yard of yarn left. Cast off leaving a tail of 6inches. Once you've cast off you'll want to know what to do with the tail, well this needs to be hidden by weaving in. This was covered in a previous post so if you click on the link you'll get all the info. This is a wonderful all-purpose scarf pattern. You can make it with any kind of yarn or with a couple of different kinds of yarn held together. If you want to use a different weight of yarn, check on the label to see what sized needles are recommended and use them instead of the size 13s. 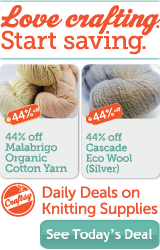 You might also need a few more stitches if you're using lighter weight yarn in order to get a nice width. Or you can make a super-skinny scarf. That's fun, too!